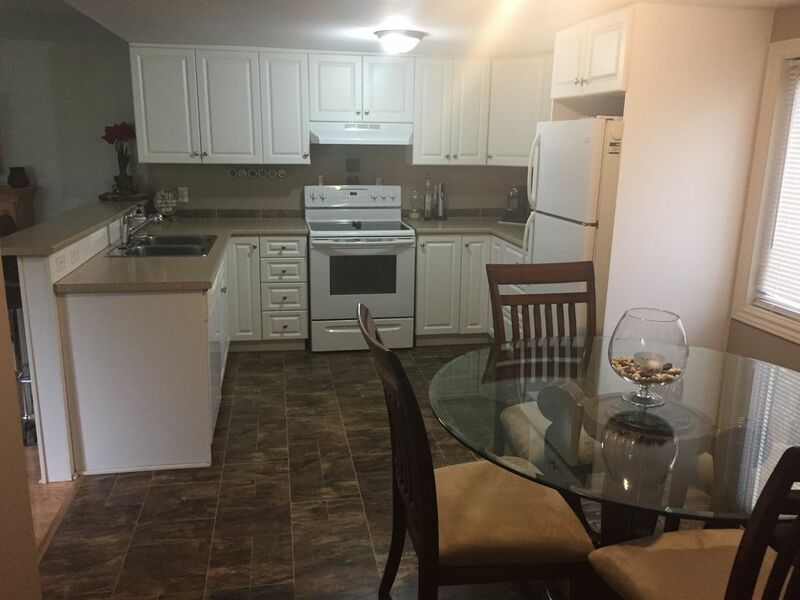 2 bedroom, sleeper/sofa, full kitchen, 3-piece bath with washer/dryer. This quaint fully furnished 2 bedroom, 1 bath cottage-style home is your home away from home! Centrally located in the heart of Renfrew within walking distance of shops, restaurants, museums, parks & hiking trails. This home is perfect for a family looking for all the comforts of home while on vacation! Enjoy your morning coffee or dinner & drinks on the walk-out deck complete with BBQ, outdoor dining table & covered sitting area with propane fireplace. There is a large yard where children can run and play! * Please note that rate may be shown in US funds and will change to CDN upon booking. Seats 4+ (Extra fold-away chairs in closet).